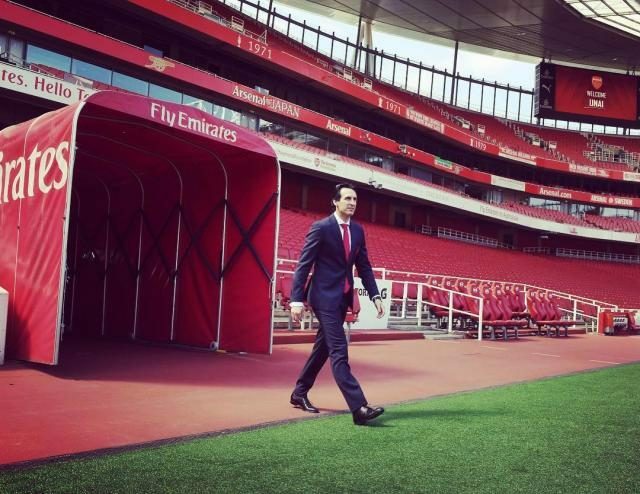 Unai Emery has urged his Arsenal players to “write a new history” against their top rivals when they face Liverpool at the Emirates on Saturday. Emery’s side face the toughest test since losing their first two games of the season against Manchester City and Chelsea. Last season, they won only one of 10 games against the other top six teams, at home to Tottenham, often struggling badly in big games during the last years of Arsene Wenger’s reign. But Emery is determined to start a new trend as Arsenal try to extend their 13-game unbeaten streak in all competitions. “We want to write a new history. The new history is in the present,” he told a news conference on Friday. “Those two matches [against City and Chelsea], they are so far away, and also they are so near. “Tomorrow is a similar team because Liverpool, Manchester City and Chelsea are in front of us in the table, and now we want to compete against them. Emery could face problems in defence, however, with full-backs Hector Bellerin, Nacho Monreal and Sead Kolasinac all doubts.